Using our new Deluxe Wheel Washer from Martins Industries, we can custom clean your wheels and tires – performed conveniently during your service visit or while you wait at Alfa Romeo of Cincinnati. *Must mention coupon at time of write-up. Not valid with other offers or on prior sales. Some restrictions may apply. See dealer for details. 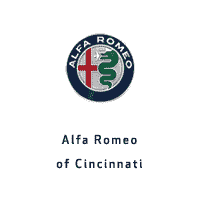 Working from a precisely defined checklist, we will test the safety-relevant, important components, and assemblies of your Alfa Romeo vehicle. From the engine, suspension, brakes, tires, underbody, and lighting, through to interior and exterior equipment.